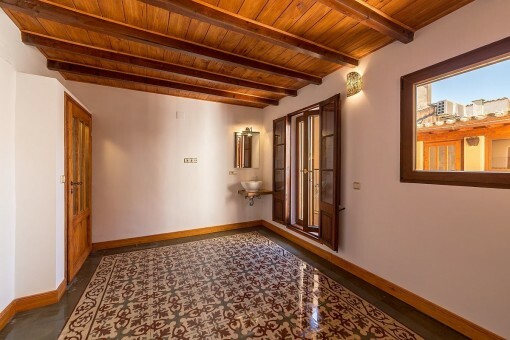 This historic town house has been completely restored paying great attention to details. 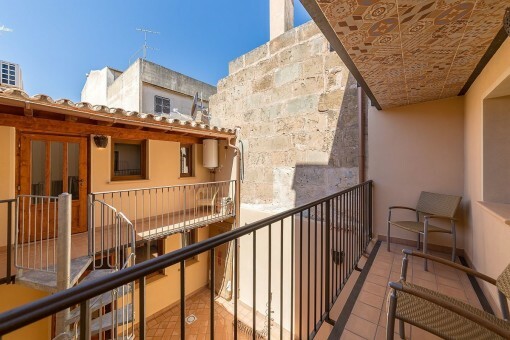 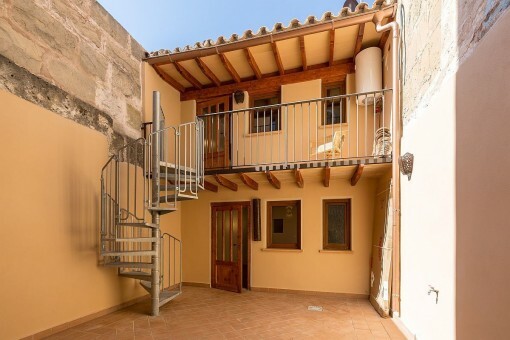 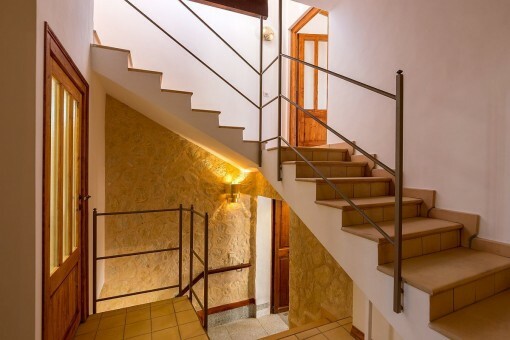 Built in 1910 the house has 5 levels with an inner courtyard and adjoining building, and although situated only a few steps from the market square in Llucmajor it is a quiet, romantic domicile which leaves nothing to be desired with respect to house technology. 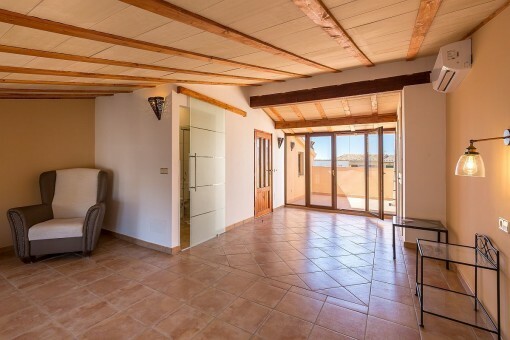 Its 260 sqm living space is distributed over a large living area, a kitchen, a utility room and 6 bedrooms with 5 bathrooms. 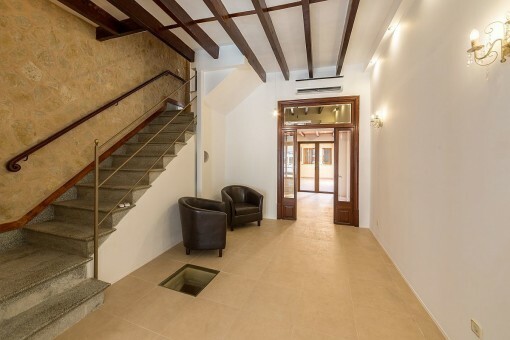 A highlight is the rustic vaulted cellar which has a skylight looking into the salon above, and the inner courtyard with irrigation system with approx. 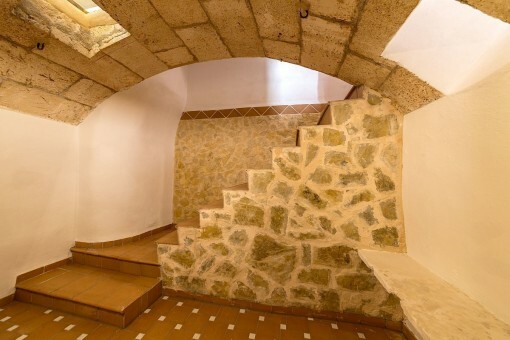 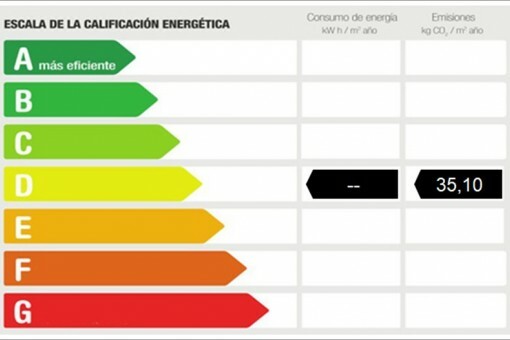 30 sqm. 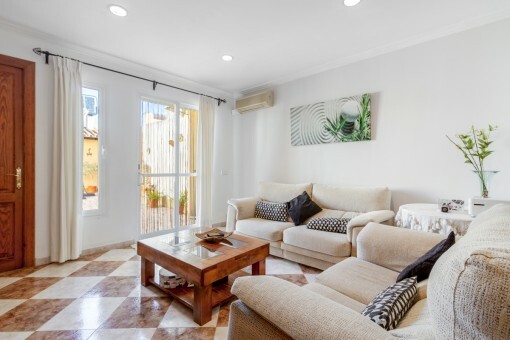 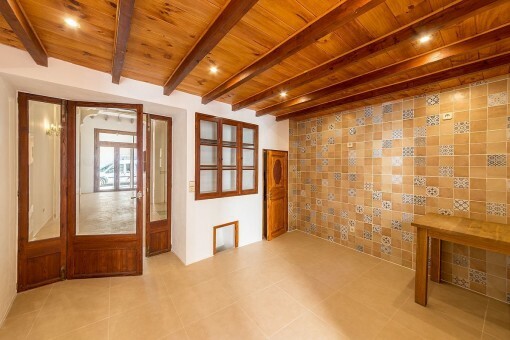 The whole house was refurbished and renovated including the renewal of all electrical wiring, sanitary equipment and waste-water pipes, new Mediterranean-tiled floors laid, all bathrooms renewed and fitted with showers, and 7 high quality air conditioning units with separate adjustment and consumtion-display were fitted. 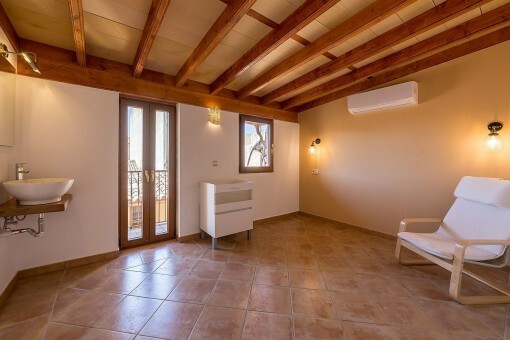 The whole building has modern LED light technology, and even the roof beams were replaced while insulating the roof. 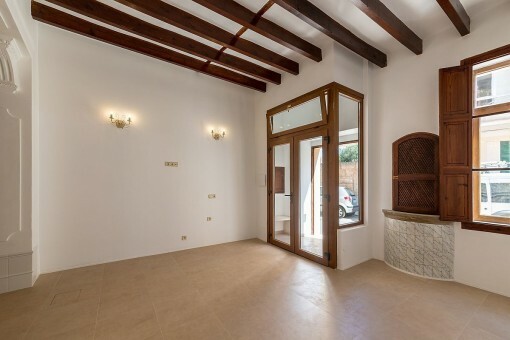 Further features include SAT-TV with connections in all rooms, exclusive natural-stonework on the facade, handmade doors, automatic sensor-operated staircase lighting, pre-equipment for a pellet heater, glass-fibre internet, and a centralised locking system with access by means of an electronic code. 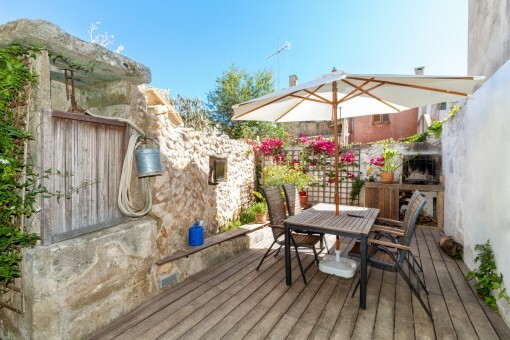 There are parking spaces in front of the house but permanent parking spaces in the vicinity can also be rented. 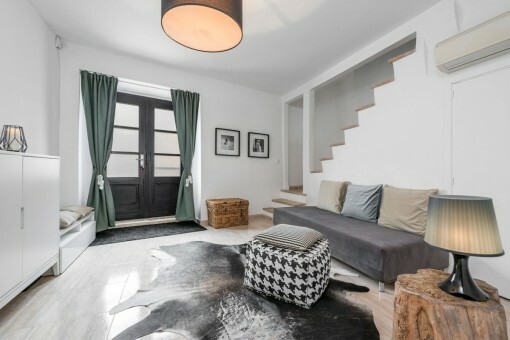 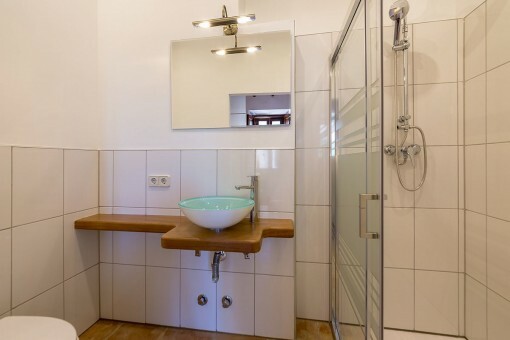 I'm interested in: First-occupation, newly-restored traditional town house in Llucmajor (Objekt-Nr.111785). 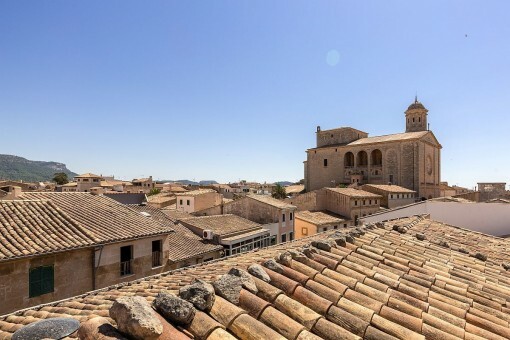 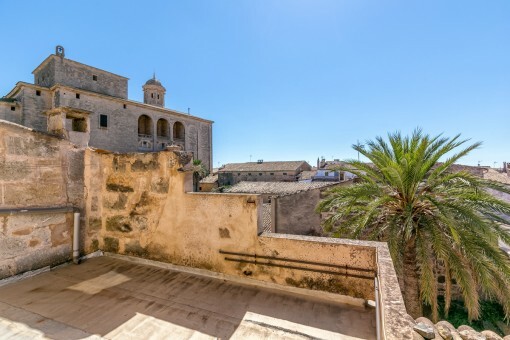 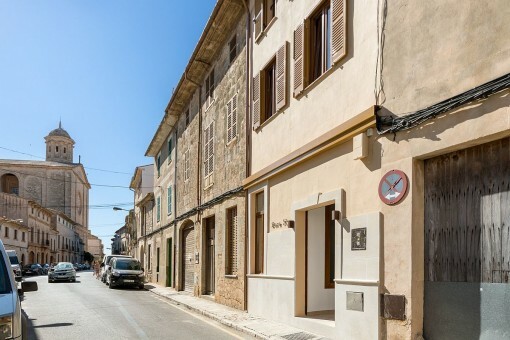 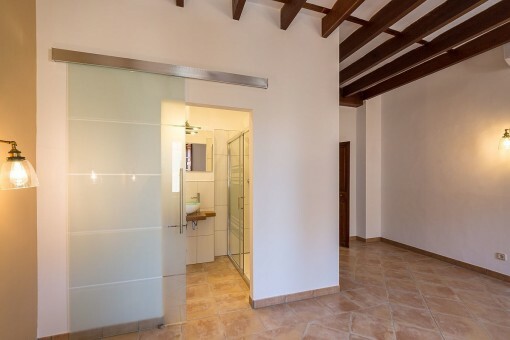 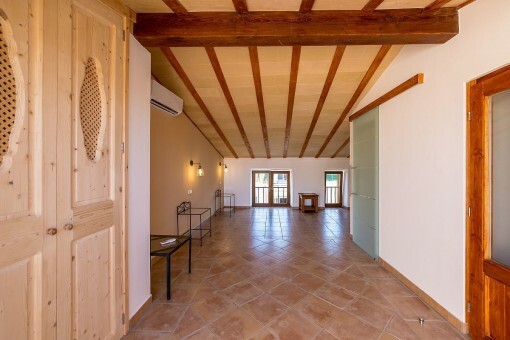 you are reading: First-occupation, newly-restored traditional town house in Llucmajor-purchase · Porta Mallorquina Real Estate Rating 4,8/5 by 200 testimonials.